Born in Brighton, England, I started my career in the corporate worlds of London and Brighton, working in finance and banking. Since moving to Italy I have built up experience and proven competency in the field of professional and personal development. I am a holder of a Postgraduate Diploma in Marketing from The Chartered Institute of Marketing, an elected Member of the Institute and a Chartered Marketer, committed to Continuing Professional Development (CPD) in coaching, training and marketing. A passion for music, sport and the theatre, examples of channelling the power of preparation and practice into peak moments of performance, have accompanied me throughout my journey to now. Having completed the International Coach Federation (ICF) Accredited Coach Training Program (ACTP) of the Coaches Training Institute, UK, I have obtained the title of Coach and adhere to the guidelines of the ICF, the worldwide organization representing coaches. With the clients setting the agenda, my co-active coaching sessions - in English or Italian - are virtual spaces in which clients can examine their professional and personal choices available to them and move towards their goals. 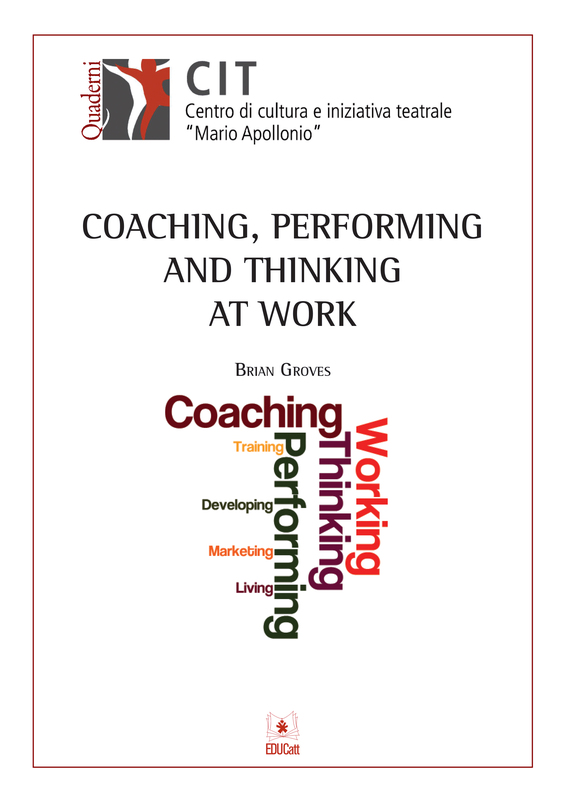 The FAQs document on the right contains answers to many of the questions people often ask regarding coaching. Details of my fees are also included. For any other questions, please feel free to contact me. At the centre of these workshops are personal competences and interpersonal abilities, summed up by the idea of living and working effectively with heart. Though these are soft skills, their impact is often noticeable at a business level. Details are provided in the PDF on the right. Since 2009 I have collaborated with the Catholic University of Milan, Italy, as an Adjunct Professor. For the initial nine years, I taught the postgraduate interfaculty (Arts and Philosophy, Economics) course Training through drama and coaching for work. In 2012, as a Visiting Professor, I taught this course at the Pontifical University of John Paul II in Krakow, Poland. Currently, as part of the Catholic University of Milan’s International Curriculum Business and Economics offering, I teach the graduate course Leadership coaching: bringing potential to the stage of work. The course uses four characters taken from dramatic texts as coaching clients to examine various work-related leadership and performance matters. Beginning with an initial observation and needs assessment, I design and deliver training programmes dealing with various aspects of marketing development. Each programme consists of a series of standalone modules created to address specific requirements integrating experiential learning and coaching. Customer satisfaction, issues relating to internal communication, looking at core competencies from the clients' perspective, the importance of the company image, and time management are just some of the modules popular with clients. Whether requiring General English language training or Business English communication skills development, I provide customized lessons to individuals and corporate clients including multinationals, companies and professional practices.